This 5/8" training fork is adjustable with center bar buckles, comes beta or biothane. View above link for larger photos in brass or stainless steel hardware and to order online. One Piece training fork, 5/8" or 3/4" beta or biothane. Non adjustable. Training forks #3 and #4 are1/2" forks adjustable with conways. Training fork #4 includes solid brass rings that remain on the reins and are attached to the training fork by 1/2" bolt snaps. 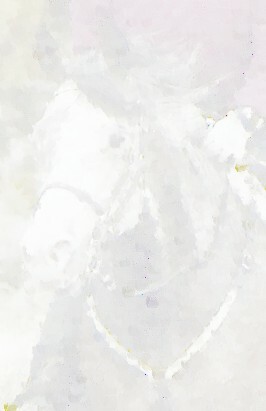 The reins are inserted in the rings. 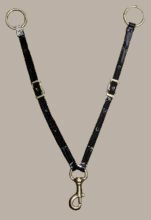 It aids in keeping the horse from flipping the reins over its head, resulting in both reins on one side of the horse's neck. 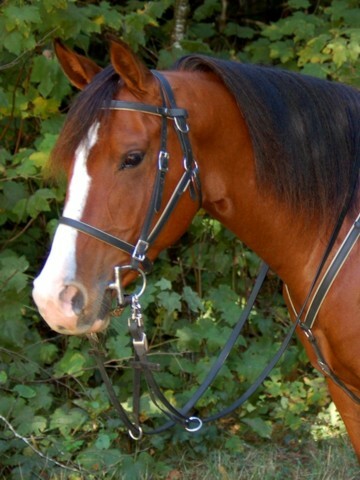 Available in closed reins with or without center bar buckle in center, or with split reins. View this link for photos showing an easy way to use a training fork.